We’ve done a few posts about Fool’s Paradise and I’m still kicking myself for not picking up their Star Wars Coin-Op Set, but there’s a good chance that I’m not going to be able to resist grabbing their newest creation: Super Professional. 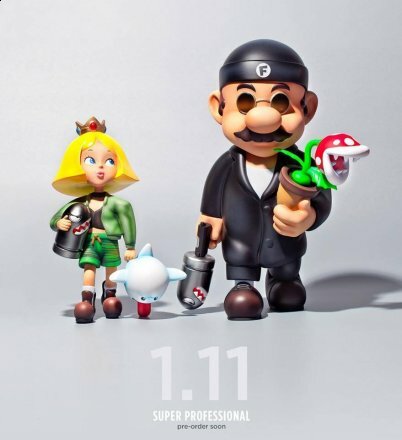 As you can guess from the picture, Super Professional brings the world of Nintendo’s Super Mario Bros together with the classic Luc Besson film, The Professional (Leon) into a beautiful little sculpture that is begging to find a home on my shelf. We don’t know cost, dimensions, or edition size as of yet, but you can bet that it’s not going to be cheap and it’s not going to be plentiful. What it will be is up for pre-order HERE, on January 11th.